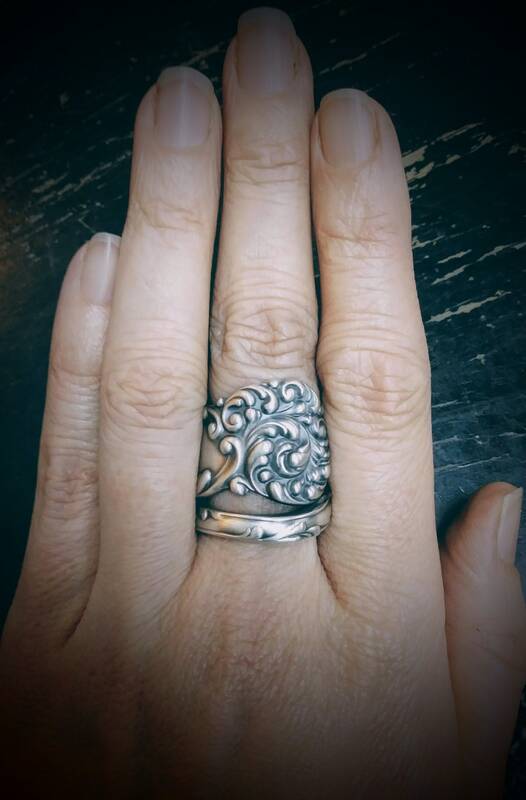 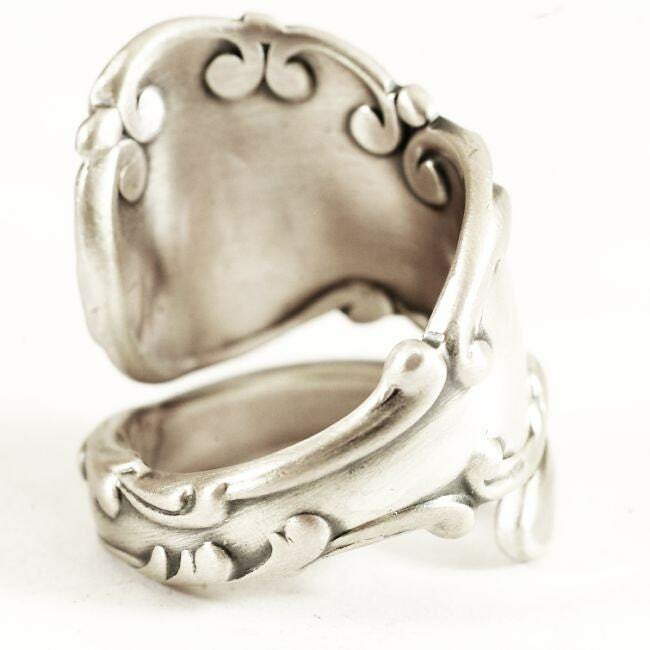 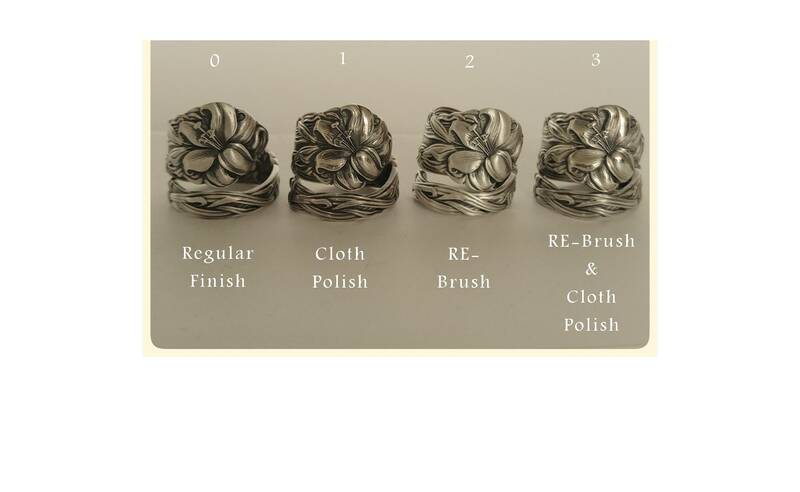 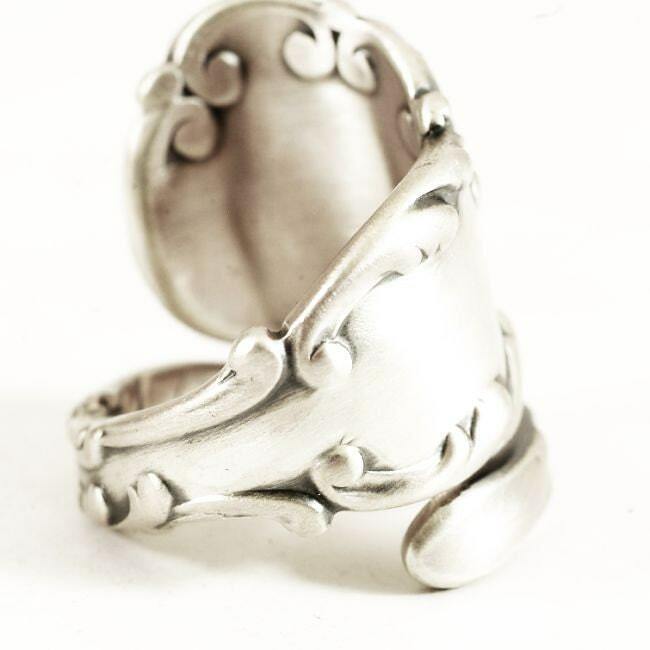 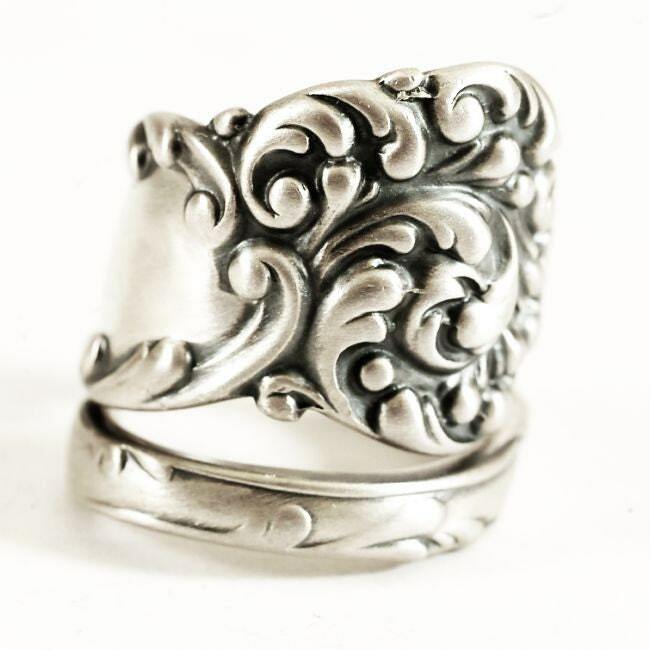 Vintage Sterling Spoon ring in the La Reine pattern by Reed & Barton first introduced in 1893. 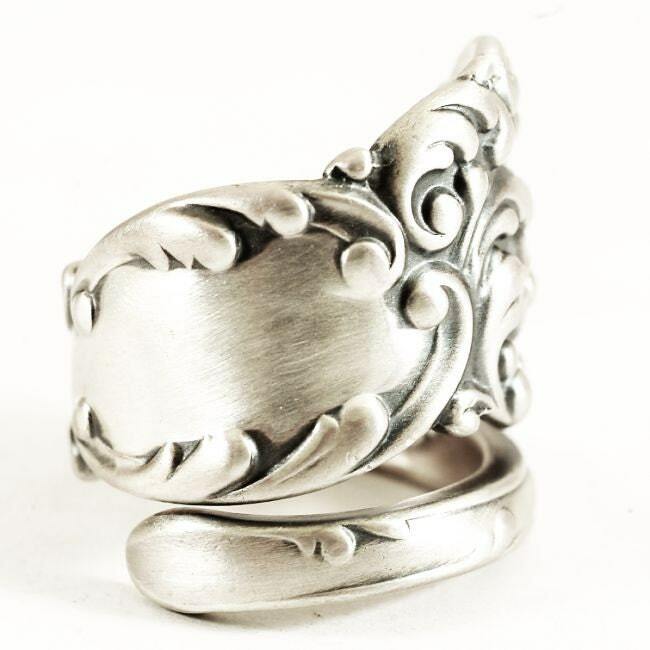 This pattern is an outstanding classic design, in three dimensional detail. 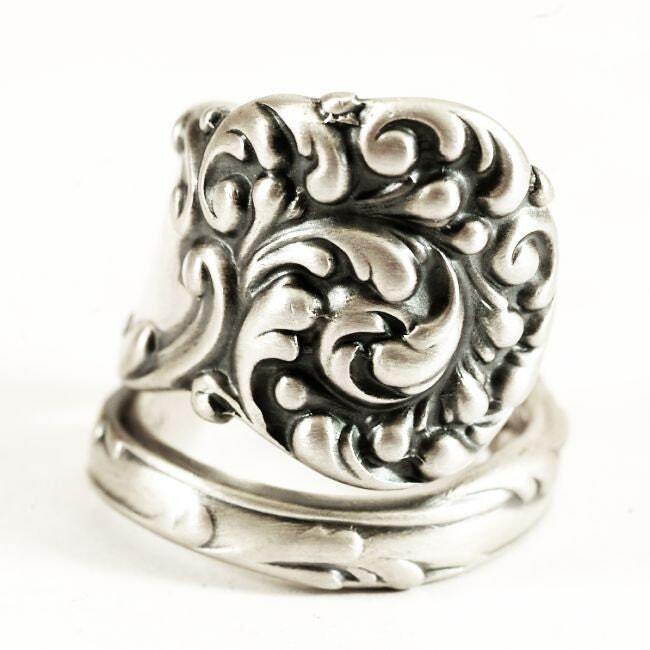 This pattern depicts an unusual use of swirls and a Florentine design to decorate this hefty piece, creating a unique and lovely design.